Below is a photo of Rolfe’s 1966-67 girls’ junior high basketball team. I’m including it in preparation of a celebration that will take place in Rolfe on April 16th, 2011. That celebration involves everything “community” regarding the Rolfe girls’ basketball team qualifying for the 1971 state tournament. In 1971 when we (the Rolfe girl’s BB team) went to State, many of these ’66-’67 players (in the photo below) made the trip to Des Moines as supportive members of the student body; others made the trip in the following roles: Joyce Baade (starting junior guard), Laurie Brinkman (starting senior forward), Cheryl Rickard (senior manager), Paula Sinek (senior cheerleader), Debbie Zeman (senior cheerleader), Jill Brinkman (senior manager), Karen Brinkman (starting junior forward) and Carol Wiegert (starting junior forward). 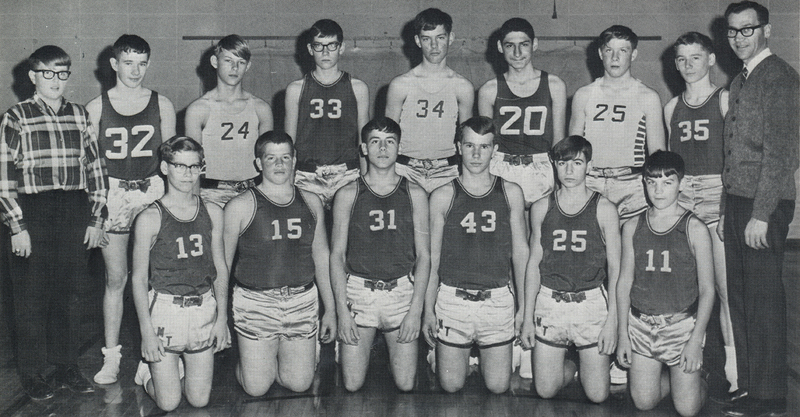 Below is the 1966-67 boys’ junior high 1966-67 team. Both of the teams were coached by Lyle Foster. In my next post I’ll include photos of more Rolfe junior high basketball teams. 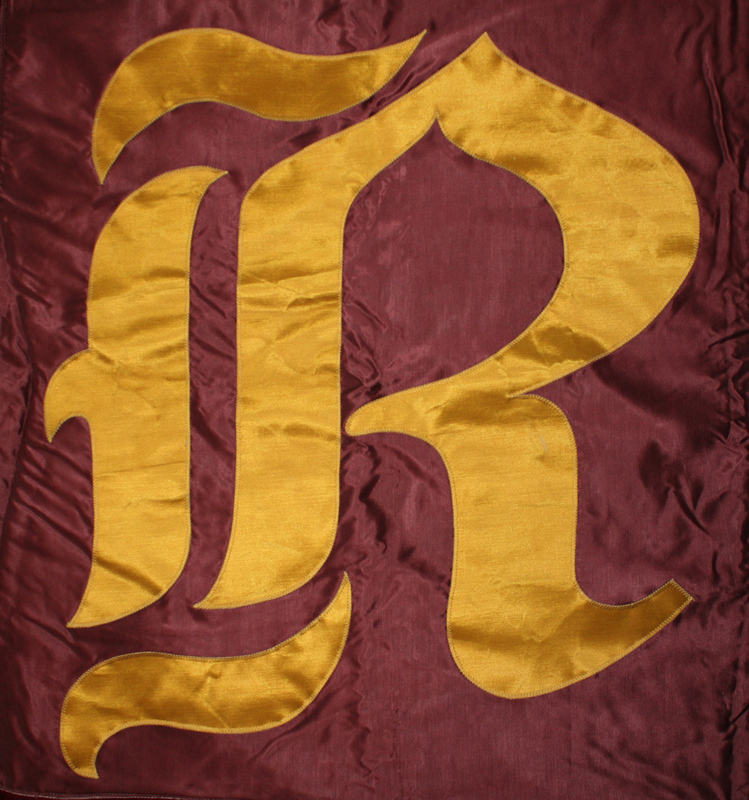 For those of you who have no interest in Rolfe girls’ basketball, please bear with me. Before April 16th most of the posts will be about basketball. After the 16th I’ll get back to posting about a variety of topics, including Mother’s watercolors. On April 12th I will have a post relating to the Chicago Cubs. Something you’ll never find anywhere else! This entry was posted on March 22, 2011 at 9:08 am and is filed under Girls' basketball, Iowa, Rolfe. You can follow any responses to this entry through the RSS 2.0 feed. You can skip to the end and leave a response. Pinging is currently not allowed. Well thanks for taking us down “memory lane”. Mick and I have been looking at these photos, and talking about DMT and Rolfe High. So what was the last year of classes held at DMT?? Mick thought he missed going out there by one year.